Home » Web Design Blog » What is Instagram? If you have a Facebook or Twitter account, you have most likely come across a photo that has a vintage look to it. That is Instagram; it is one of the most popular mobile photo application to download today. Everyone likes being able to tell a story using photos or for people to see the fun activities they are participating in. That is where Instagram comes in. Instagram is a free, fun, and a famous way to tell your stories through images. Instagram is a fast, attractive, and enjoyable way to share your photos with friends and family. All it takes is the snap of a picture and you are then directed to choose a filter to give a new look and feel to the picture. From there you are able to write a caption about the picture. Once you have finished those steps, you post it to the Instagram newsfeed. You are able to share your photo to Facebook, Twitter, and Tumblr, too. This popular mobile photo application is becoming the hottest social media app out today. You are able to build a friends list just like Facebook and Twitter. You are able to follow other users’ photo streams and as they post their photos, they will pop up in your feed, which you are able to like and comment just like Facebook and Twitter. Using the “Profile” icon located on the menu bar, you can search for friends by name or find friend through your Facebook and Twitter accounts. When you take a photo using the Instagram application, they will always appear in the feeds of your followers. You can also browse through the “Popular” section to find new users to follow or just to simple look at what is “Popular” on Instagram. This photo sharing application allows you to connect to people all around the world. It enables you to look at what other people are posting pictures of, it helps with the connection link of a hashtag, which allows you add a description of your photo, you are then allowed to tap on that hashtag and you are then brought to an entire new page of pictures. Those pictures are seeing are photos that people have taken with the same hashtag as you. 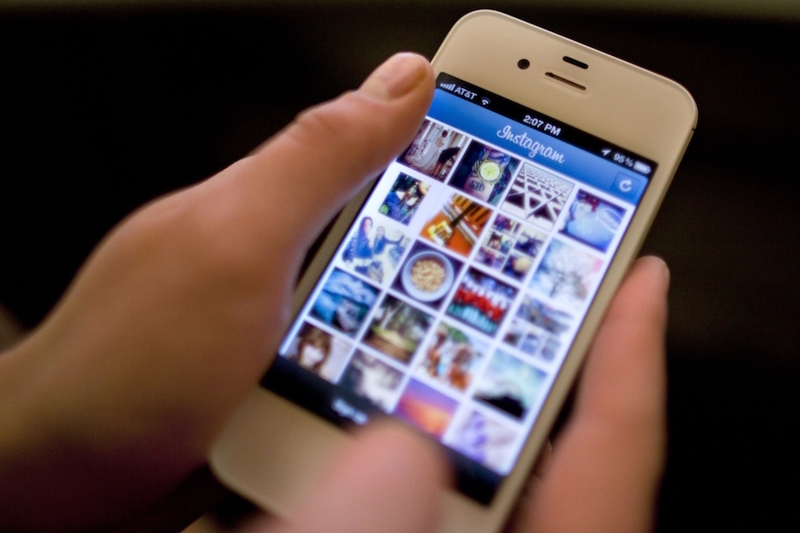 Originally Instagram was only supported by Apple products such as; iPhone, iPad, and iPod Touch. Until April 2012 Instagram was added to the Android world for other users to be connected. As of today, this photo sharing app has over 150 million users that is a lot of photos! Along with the new addition of this application being added to the Android phones, it just so happens that in April 2012, Facebook bought Instagram for $1 billion in cash and stock. Again, Instagram is free from the iTunes Store and Google Play. Start connecting with friends and family. Happy photo sharing!